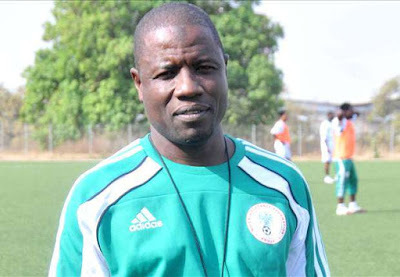 Super Eagles assistant coach, Salisu Yusuf has stated that the team will fight hard to secure a place in the 2019 Africa Cup of Nations in Cameroon after getting drawn in Group E of the qualifiers along with South Africa, Libya and Seychelles. The three-time African champions have failed to qualify for the last two editions of the competition in Equatorial Guinea and Gabon. The Bafana Bafana of South Africa who stopped the Eagles from making it to the AFCON finals in 2015 will pose the biggest threat to their ambition in the group. Yusuf however insisted the Super Eagles will be up for the challenge against the South Africans this time around. "It's a fair group to start with, and we will do our best to ensure we secure top position in the group," the former Kano Pillars and Enyimba coach told newsmen. "We know the strength of South Africa. They stopped us from qualifying for the AFCON in 2015, but we won't allow that to happen this time around. ''It is also important for us to pay attention to Libya and Seychelles who will also like to create upset in the group." The winner of each of the 12 qualifying groups as well as three best runners up will qualify for the competition, joining hosts Cameroon. The qualifiers will kick off with preliminary round matches on 20-28 March, 2017. Match-day one of the group stage qualifiers will commence on 5 – 13 June 2017.